There are thousands of people that are exploring some of the most beautiful landscapes in the world. 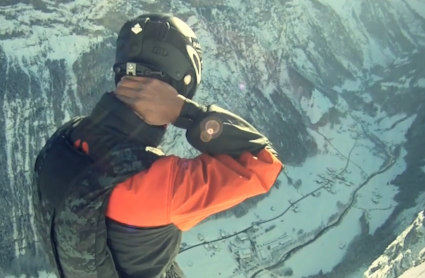 This chapter we will take you to Norway Switzerland and France where people are jumping cliffs as high as 6,000 feet. Experience Zero Gravity will hopefully provide you with the feeling and the emotion that we feel when we think about the experience of Base Jumping in the most scenic locations of the world. We hope you can see this world from our eyes. InfinityList.com is a central platform to find the best and most cinematic sports video. Ossie Khan, Stephen (Sparky) Baich, Fred Fugen, Vince Refett, Jade Edaj, Pepe Cam, Simon Wandeler, Adrian Acquado, Jeremy Bourne, and Woody.